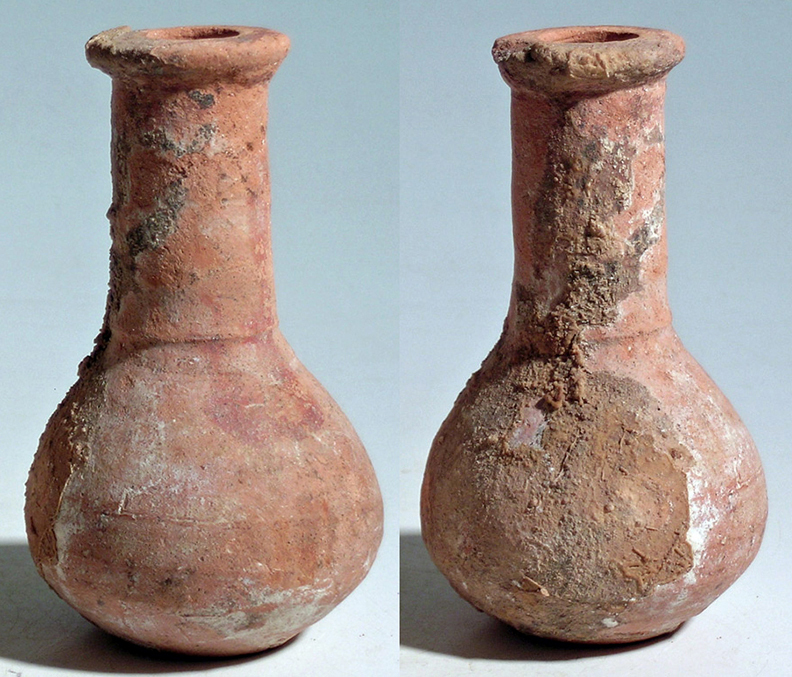 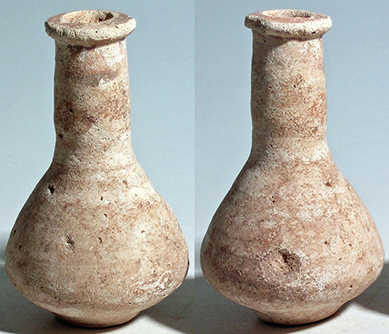 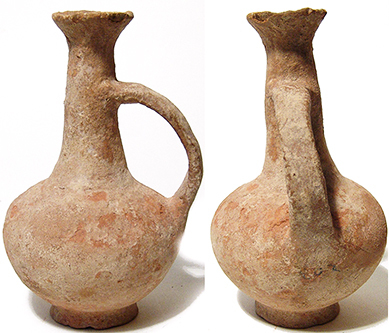 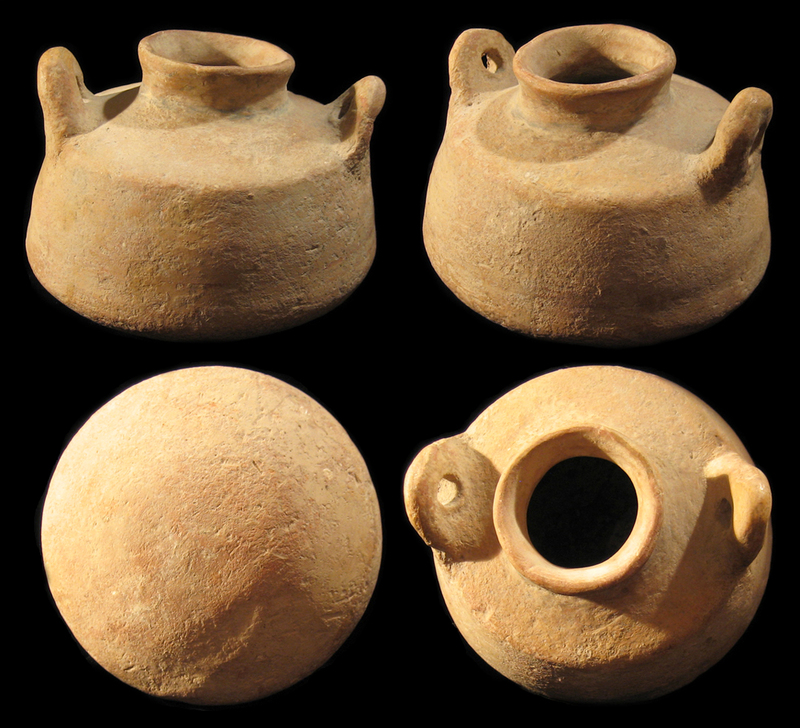 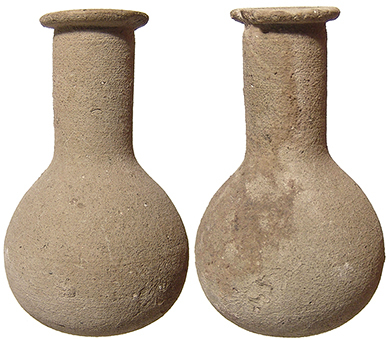 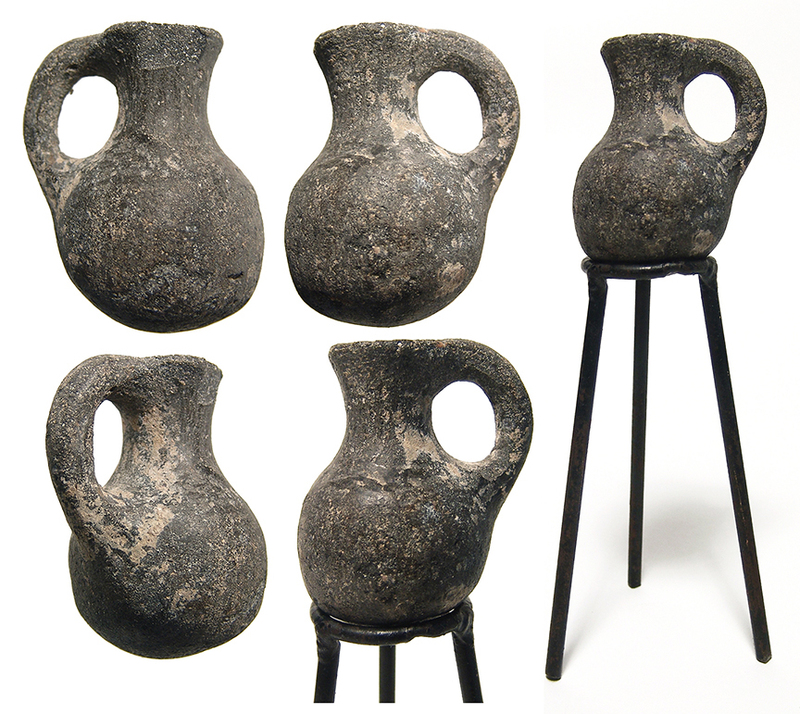 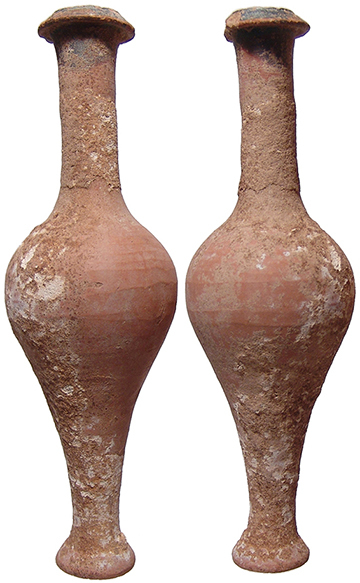 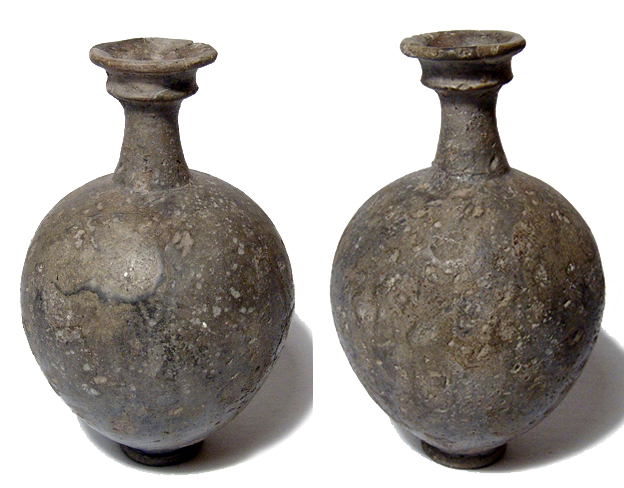 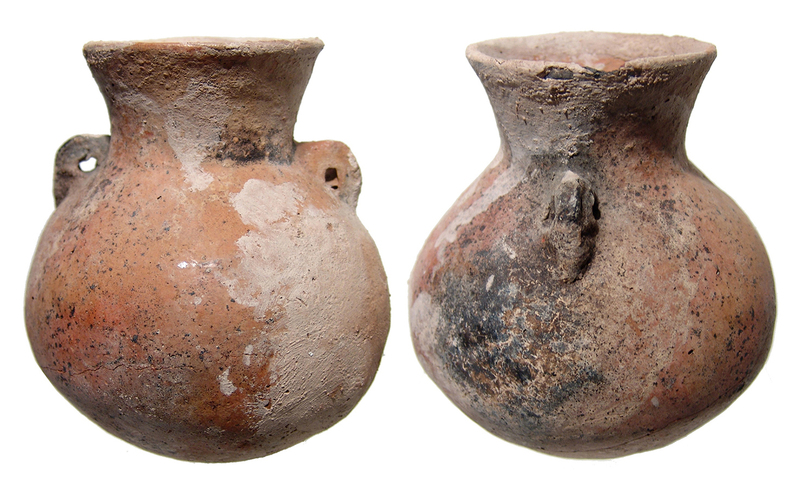 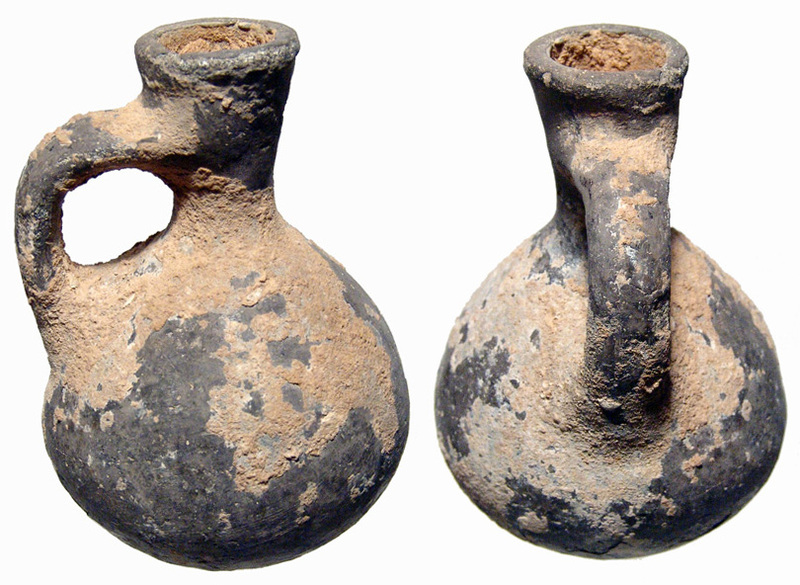 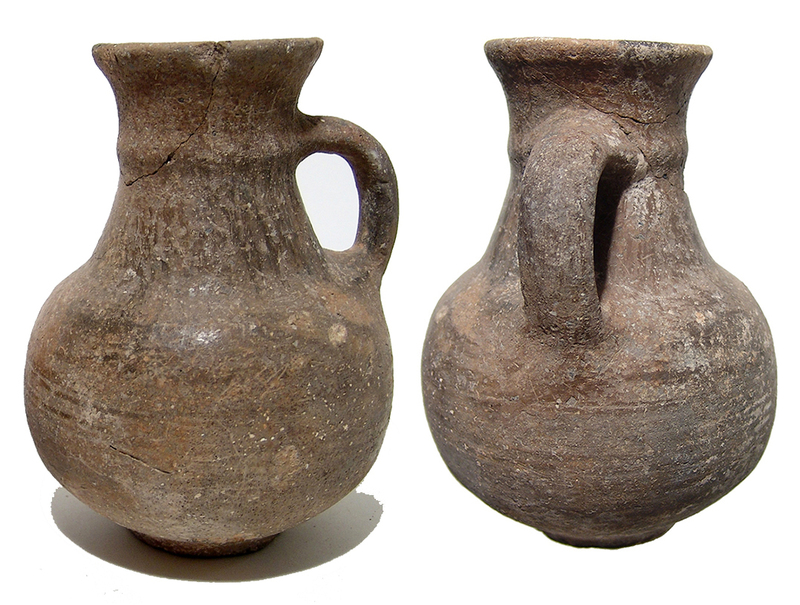 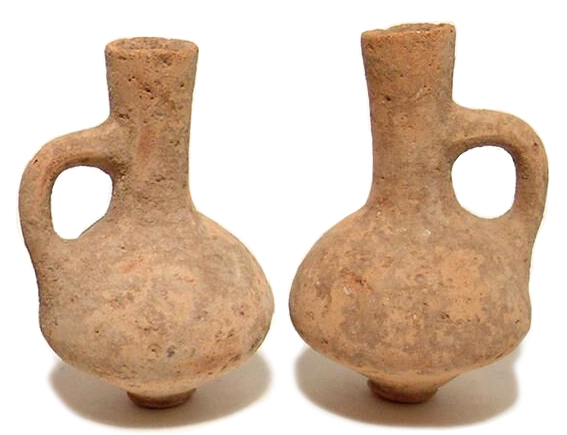 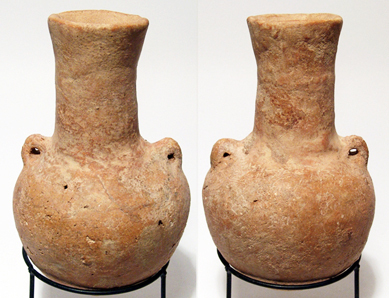 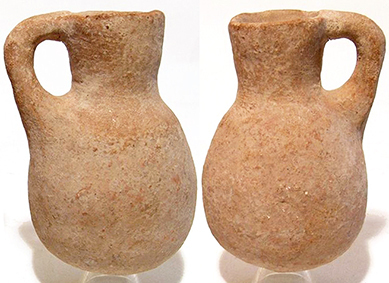 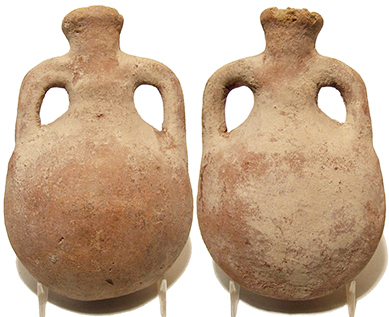 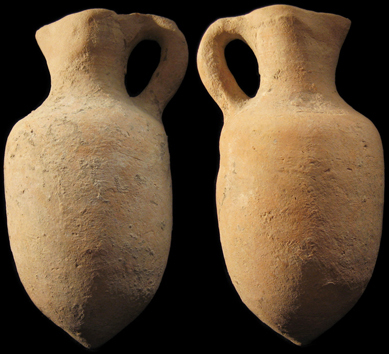 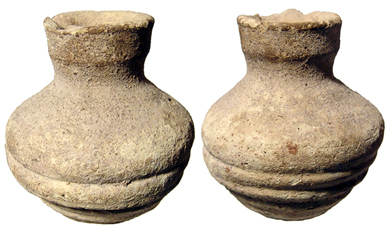 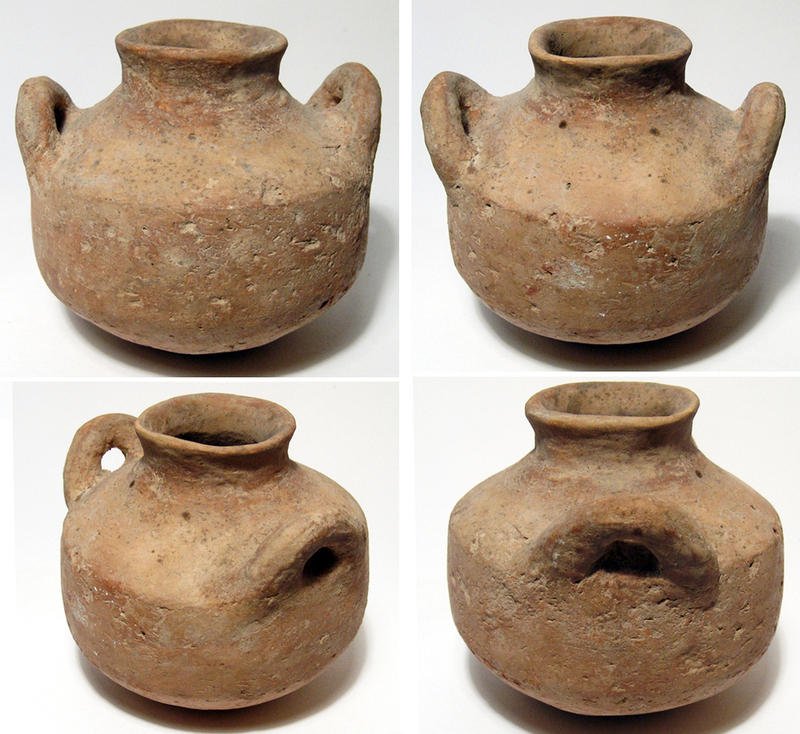 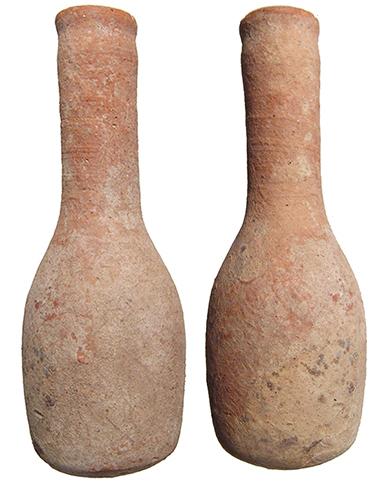 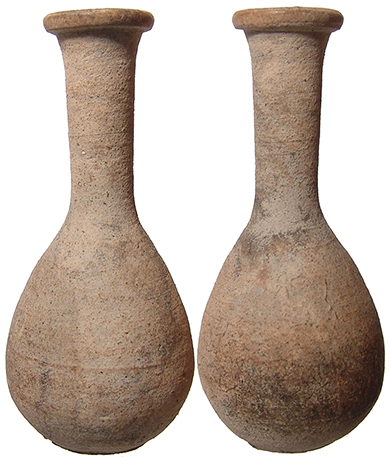 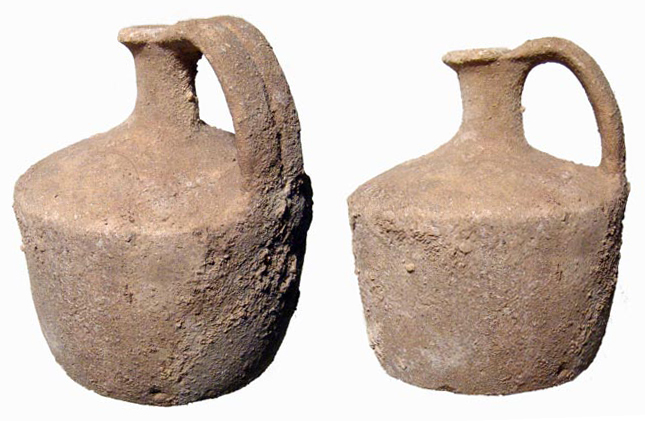 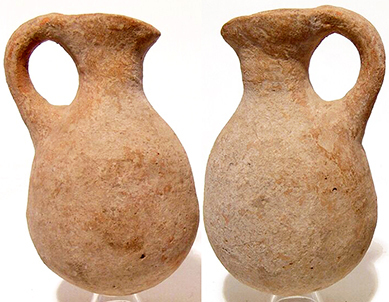 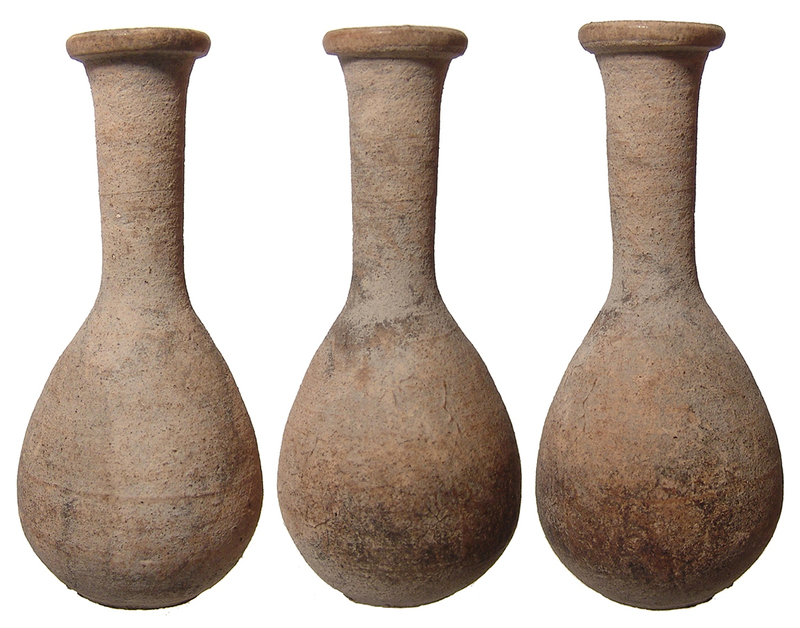 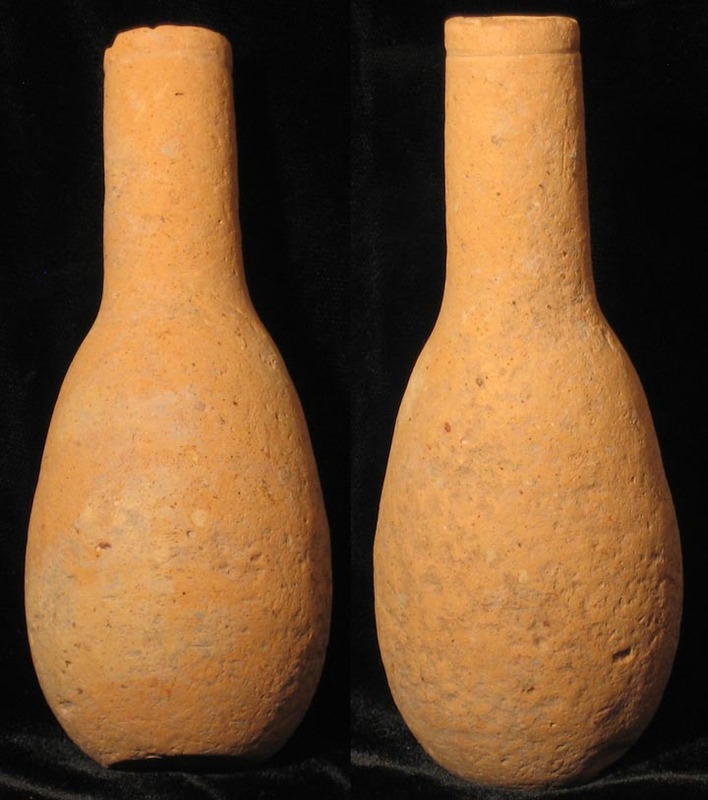 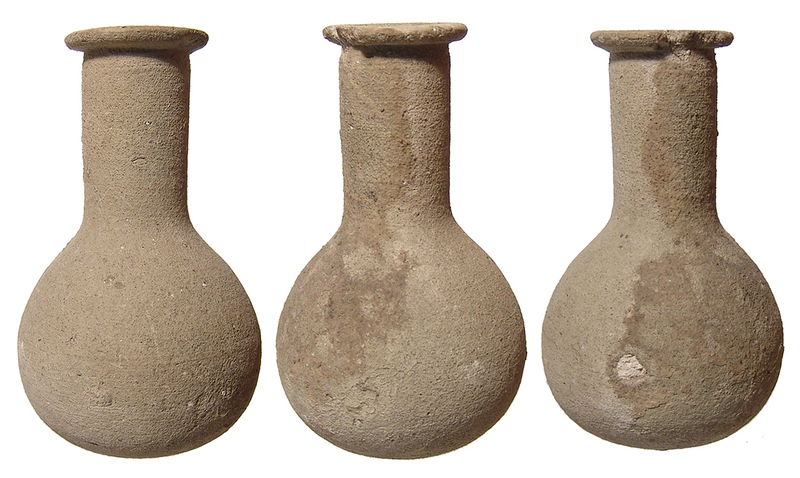 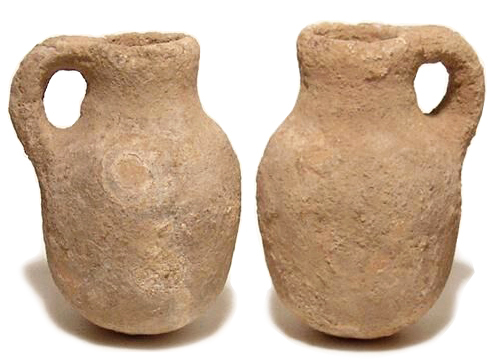 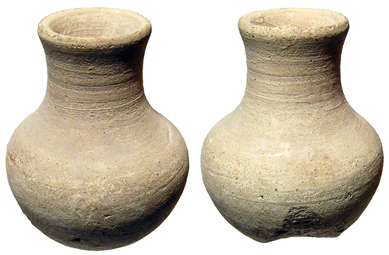 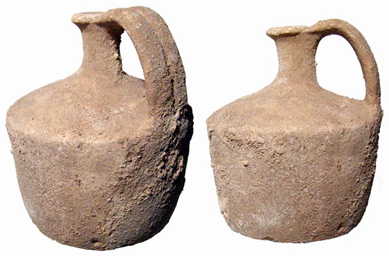 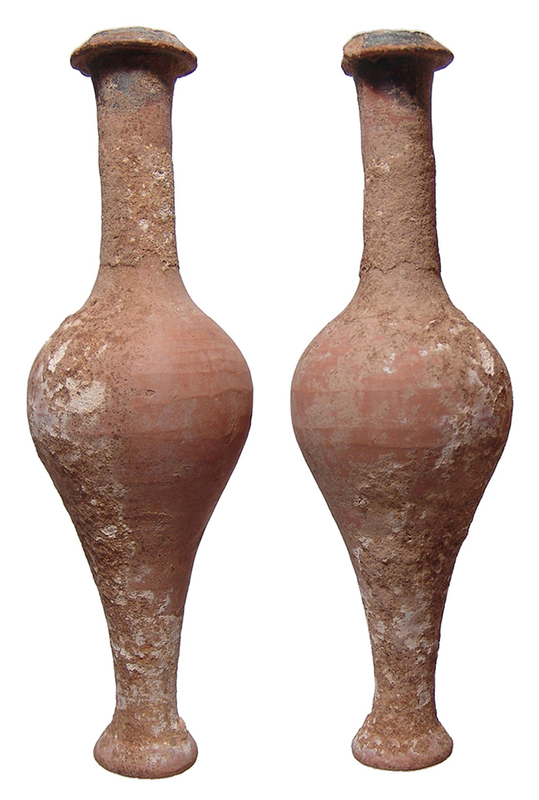 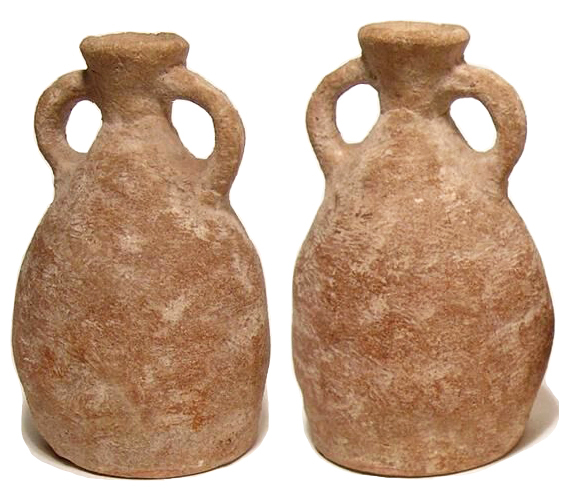 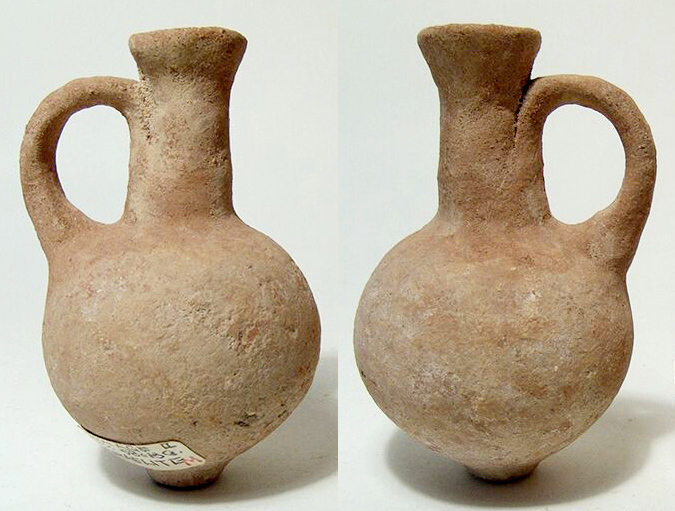 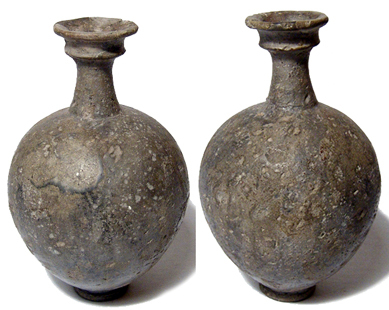 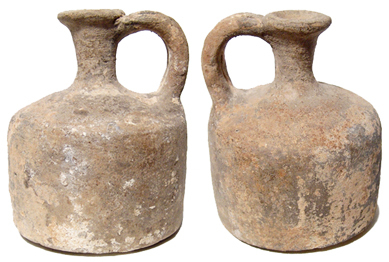 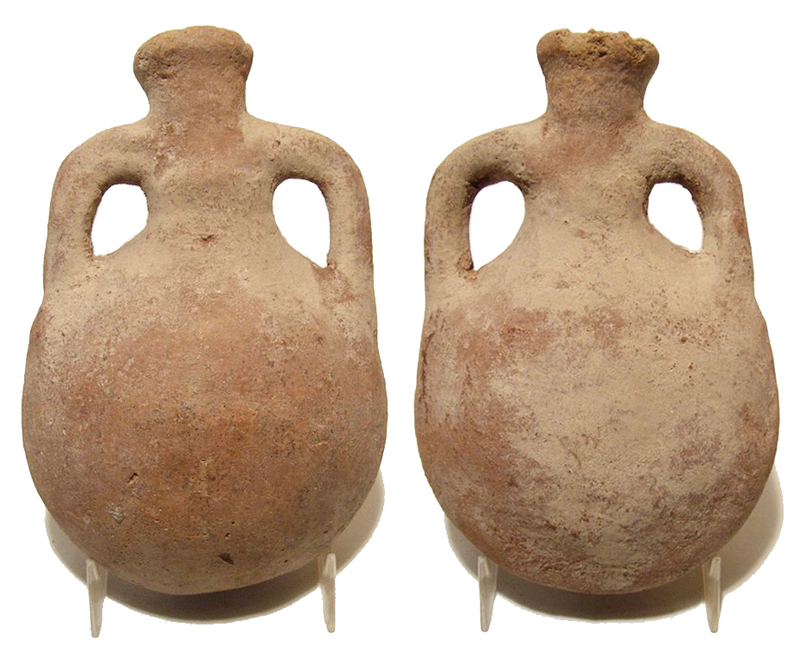 See also: Holy Land Oil Lamps from the time of Moses through Herod the Great and Christ's time in Judaea! 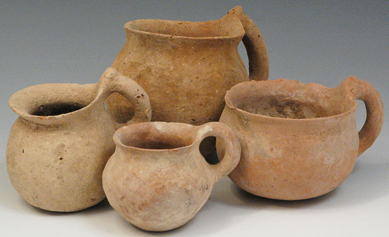 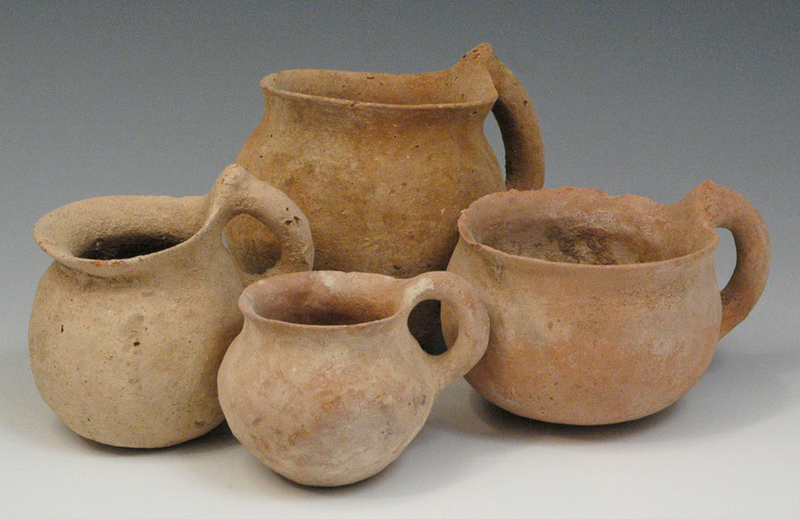 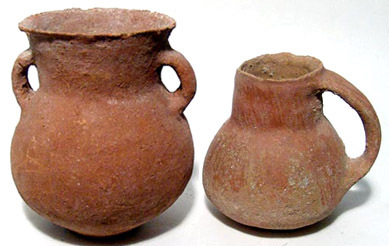 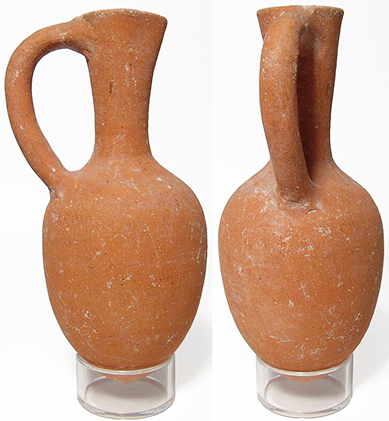 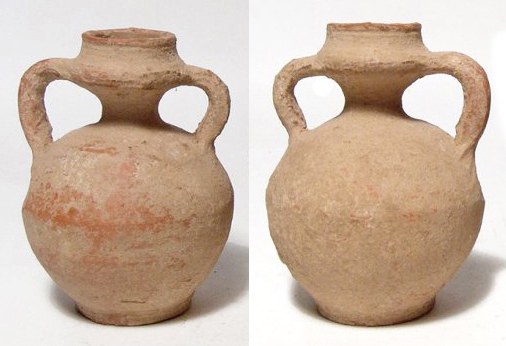 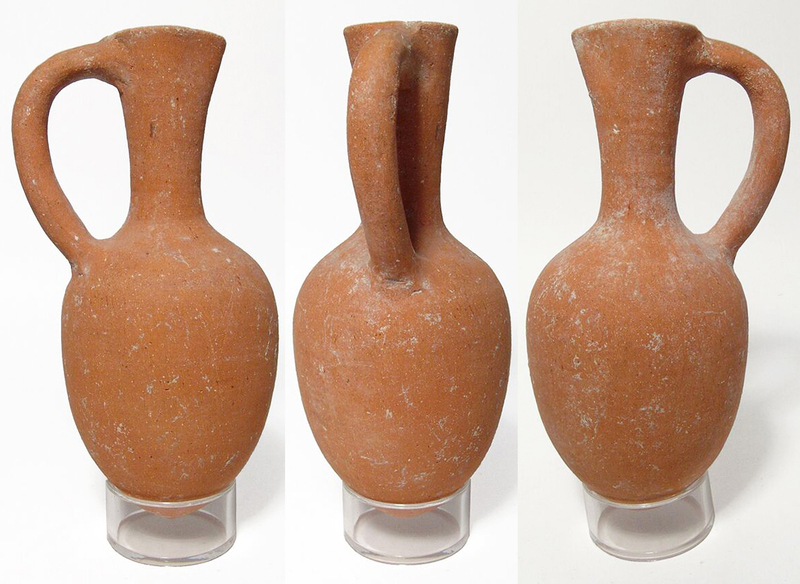 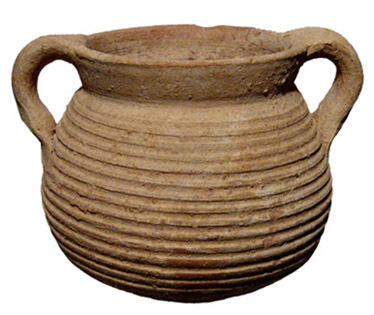 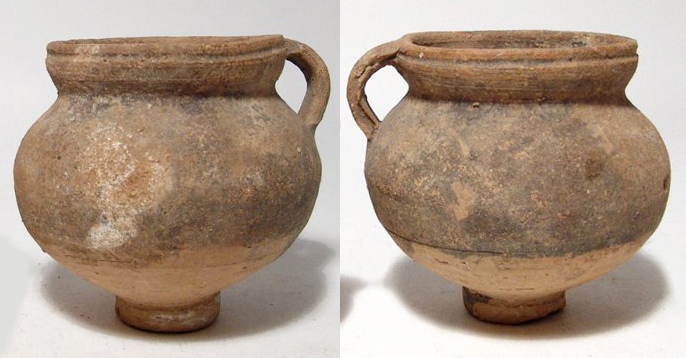 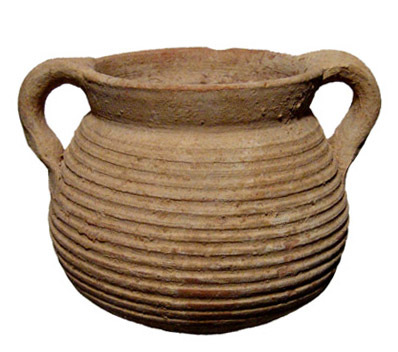 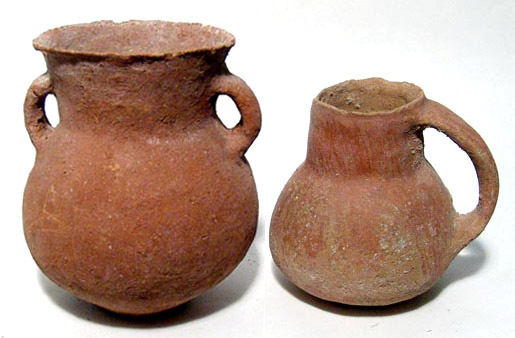 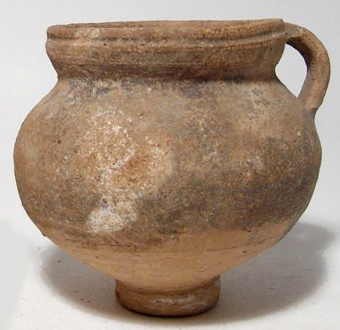 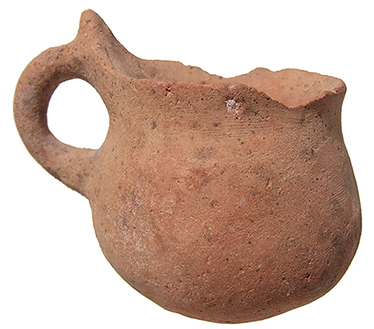 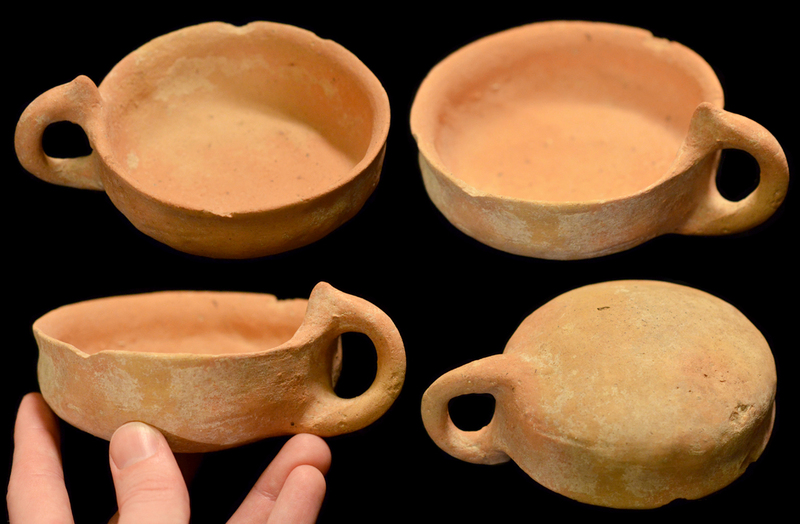 See also: Ancient Roman Terracotta & Pottery Artifacts! 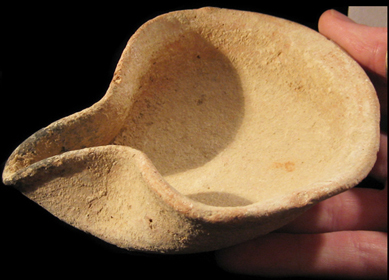 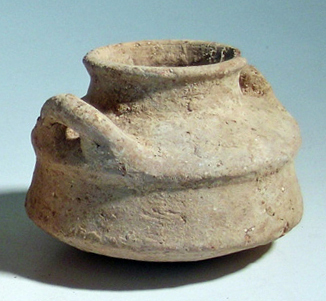 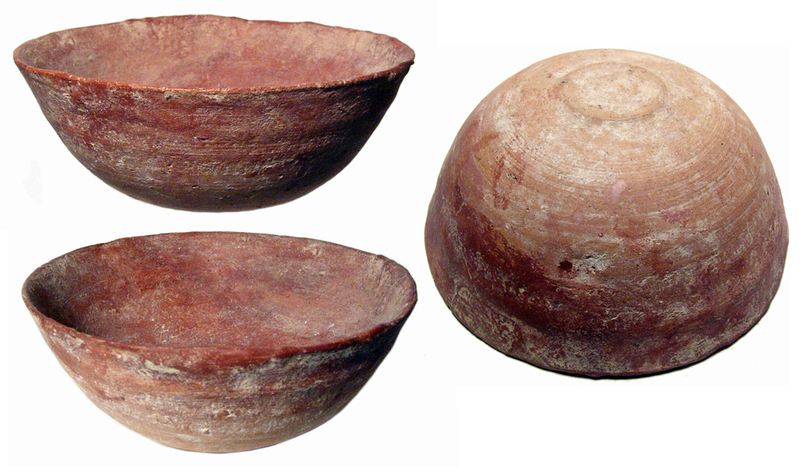 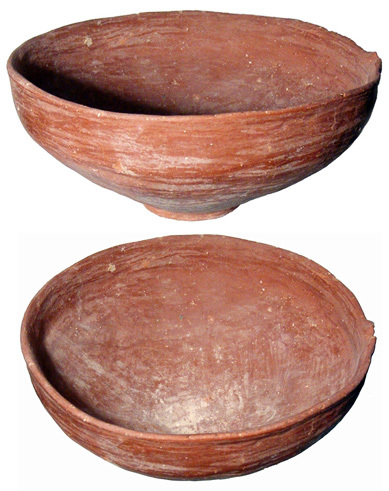 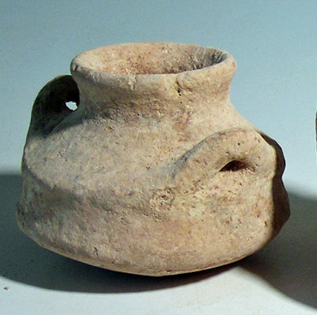 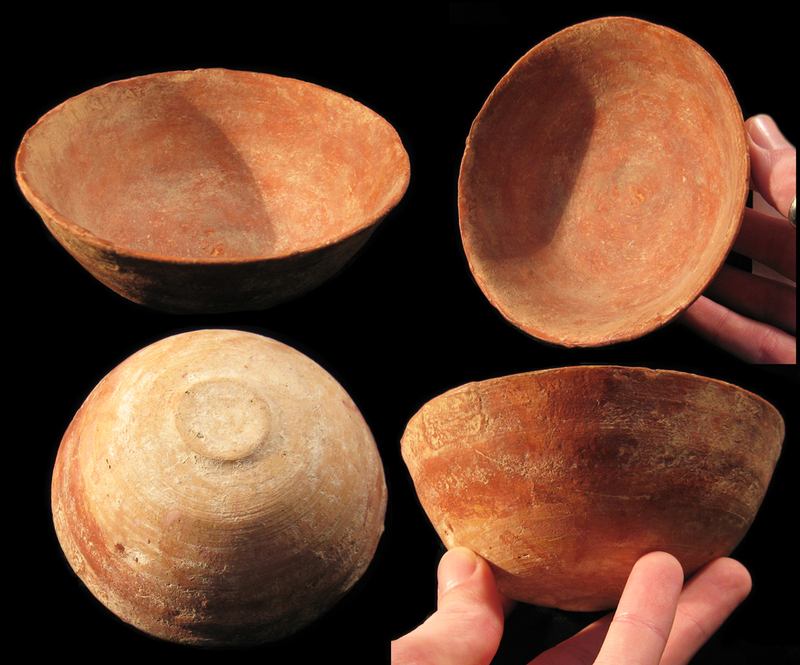 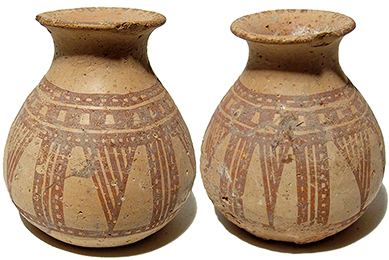 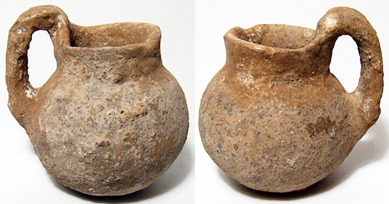 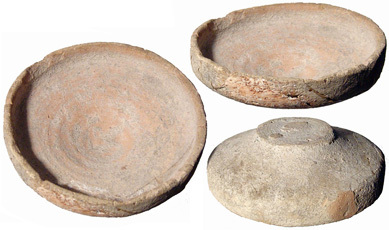 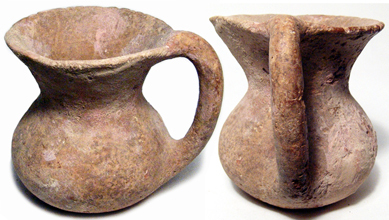 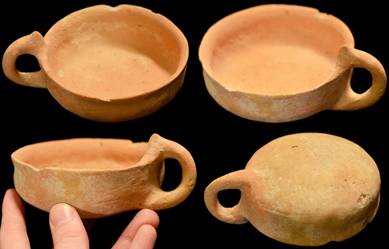 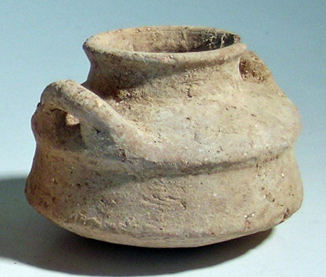 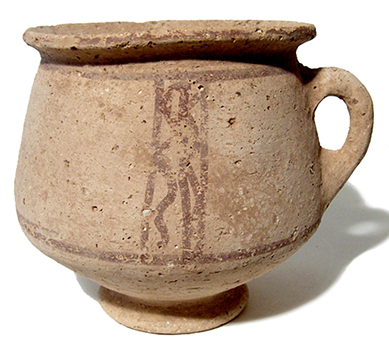 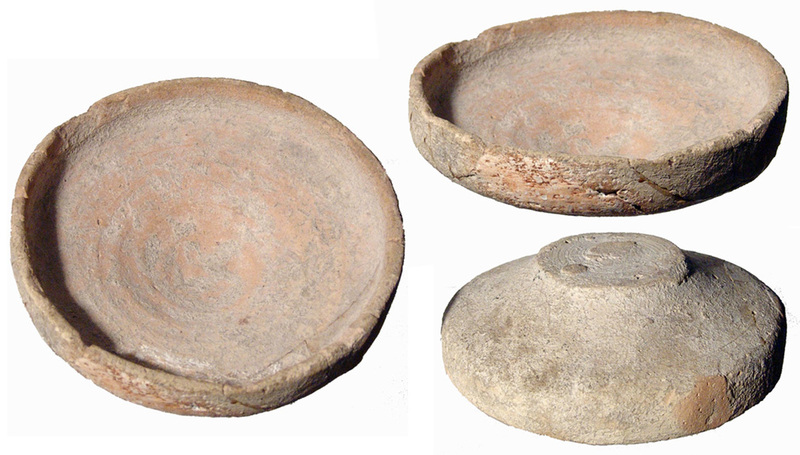 Holy Land pottery dipper-cups, c. 3200-2200 BC. 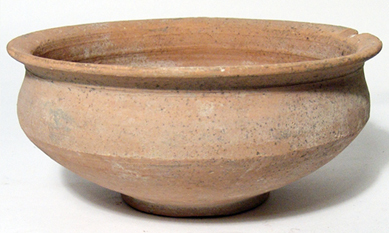 Clobular in shape, with flat bases, flared rims and thick, round-sectioned handles. 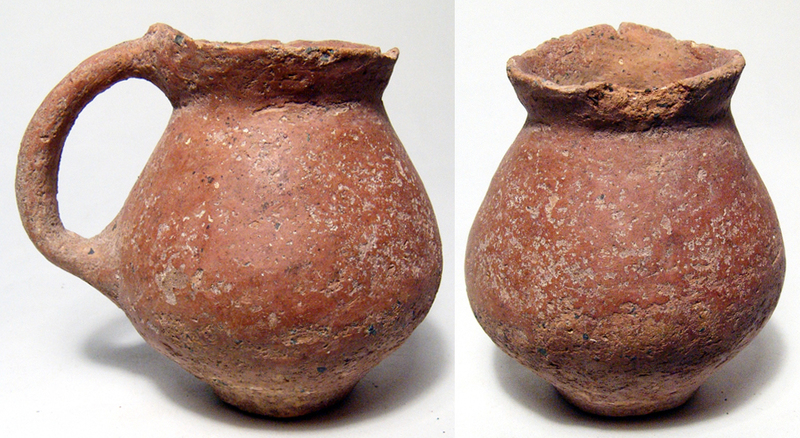 measure 70-120 mm tall. 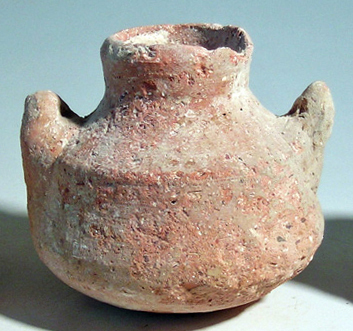 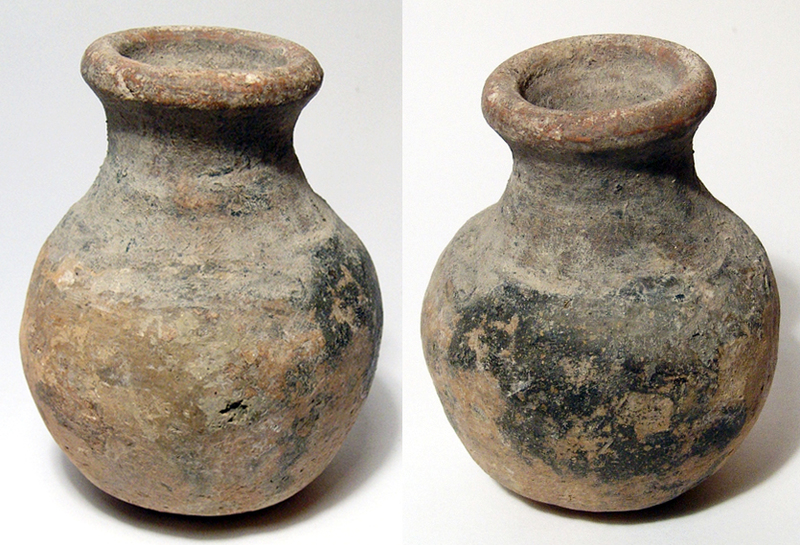 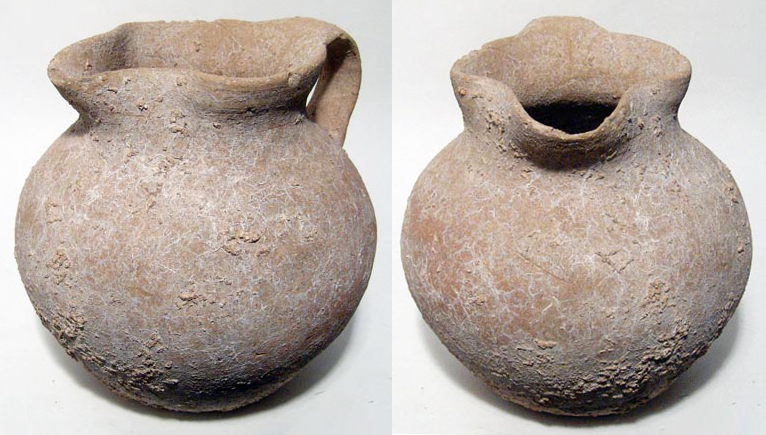 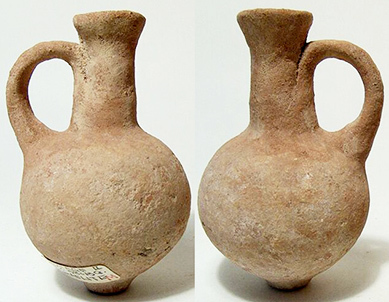 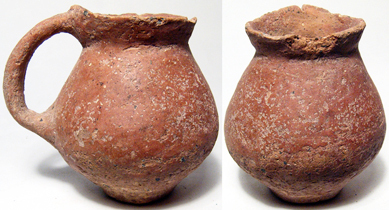 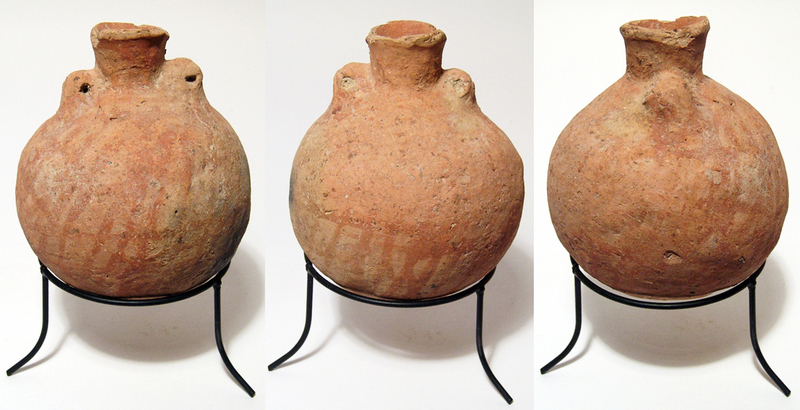 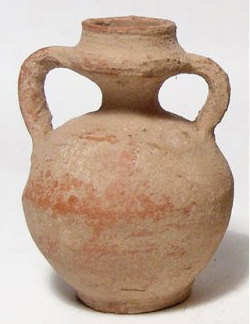 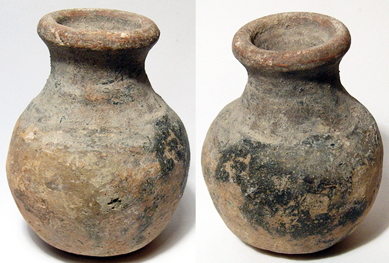 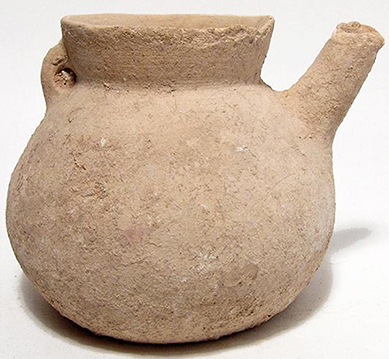 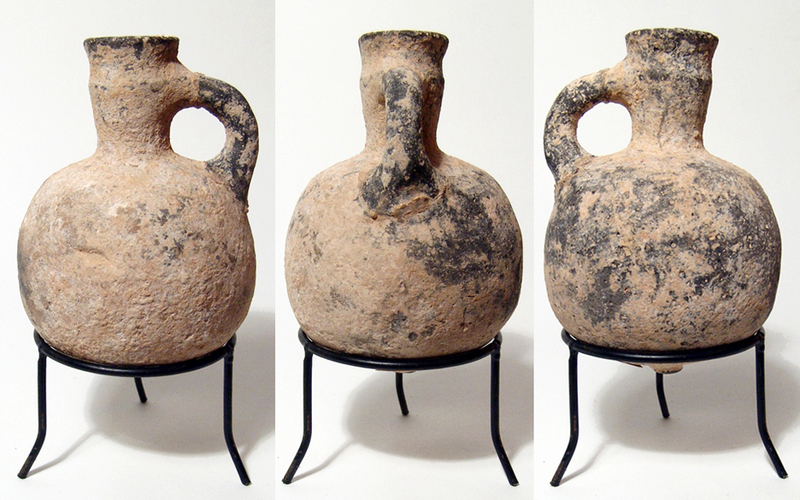 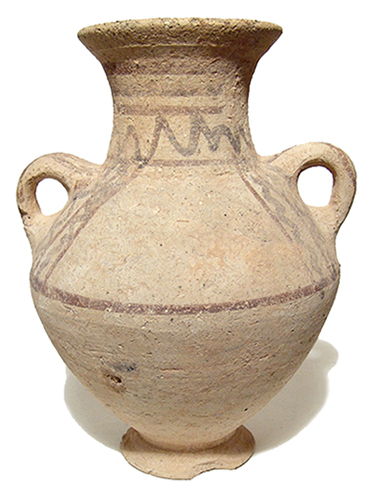 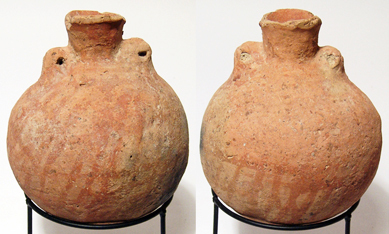 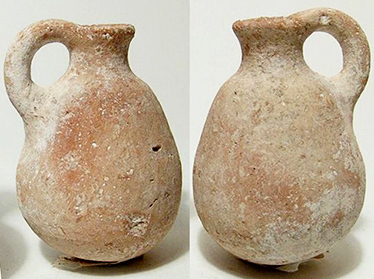 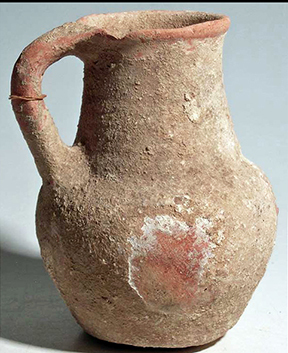 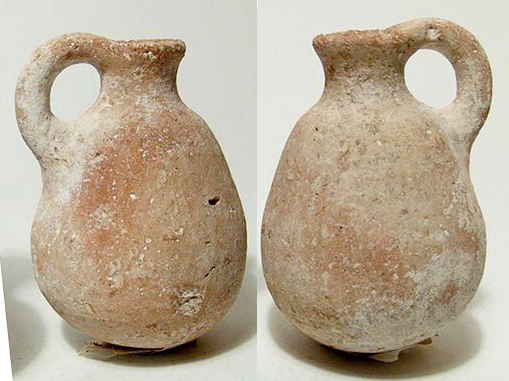 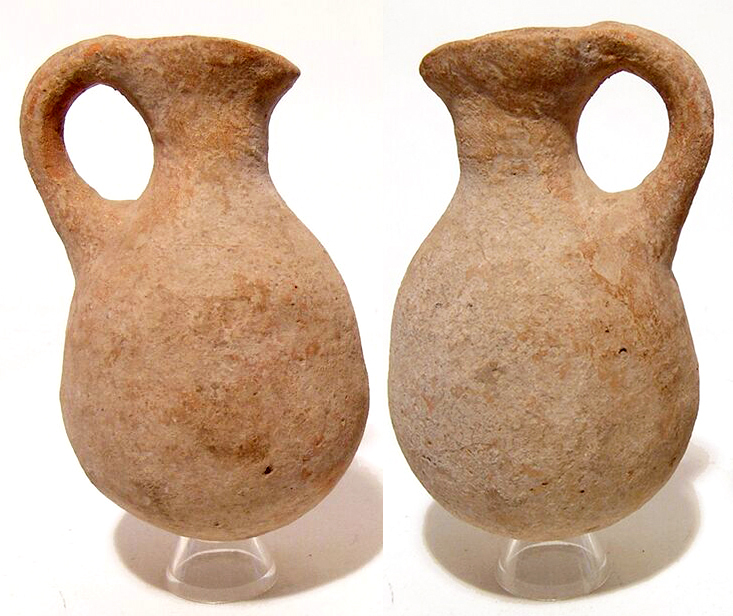 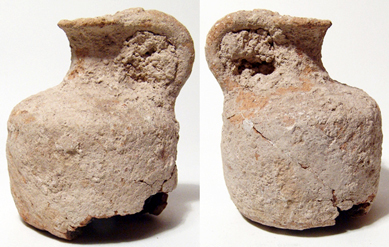 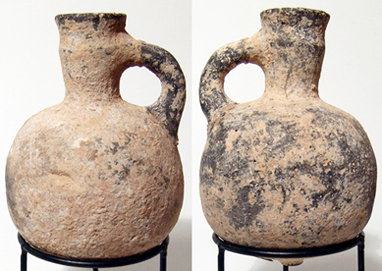 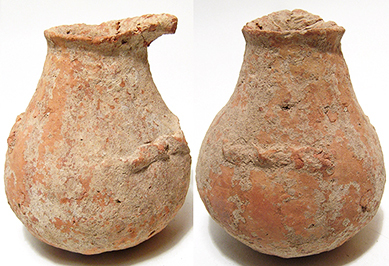 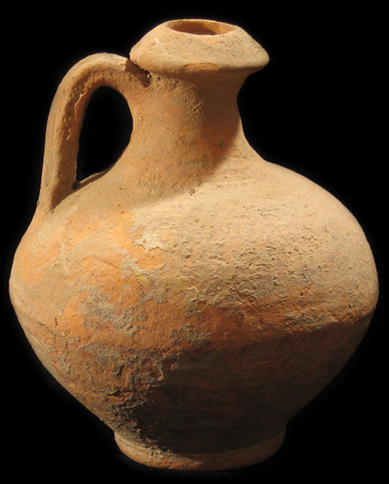 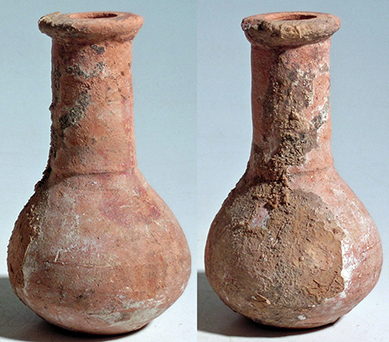 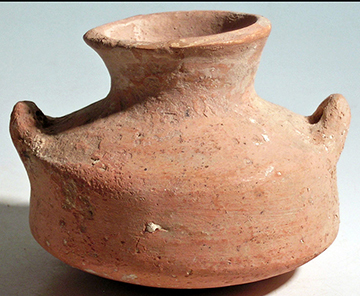 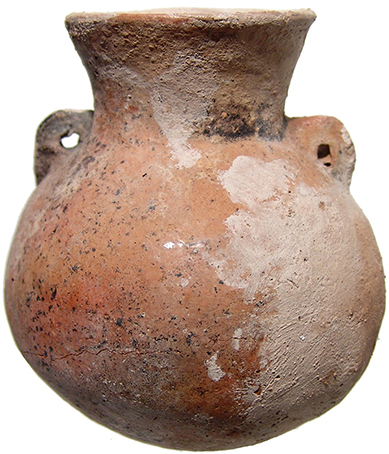 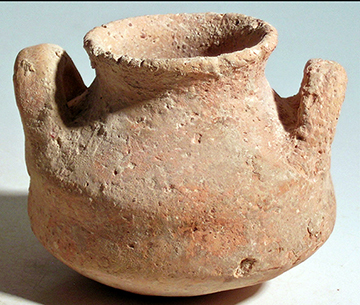 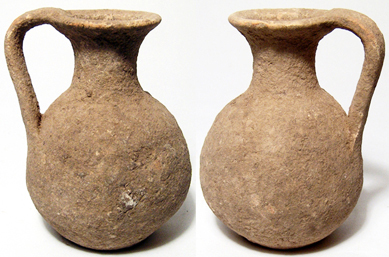 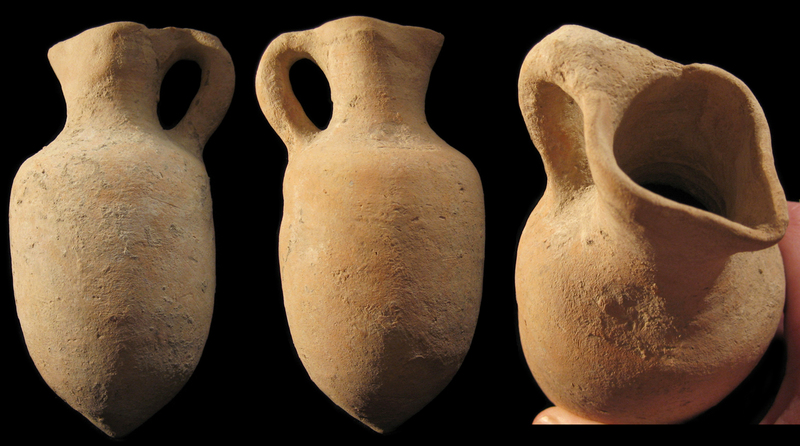 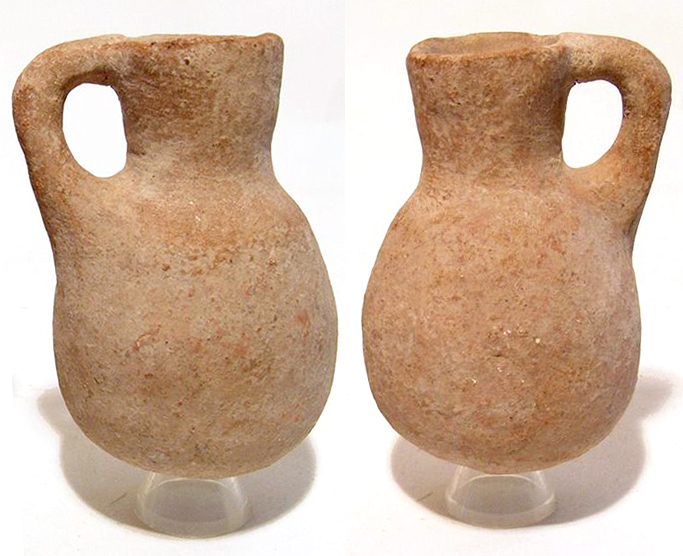 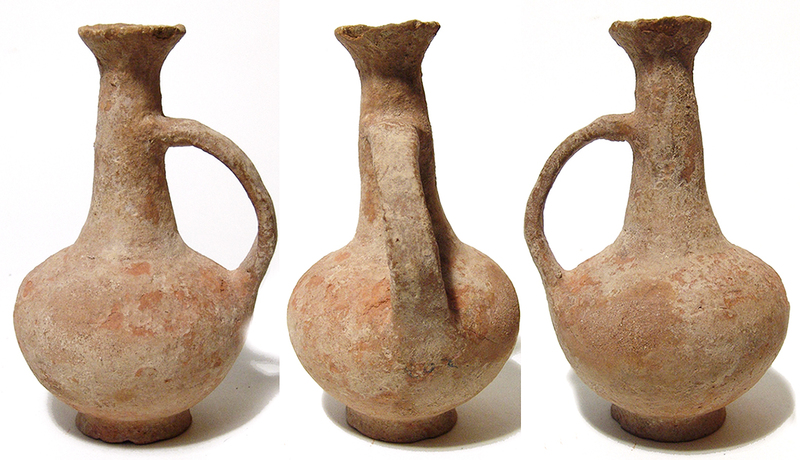 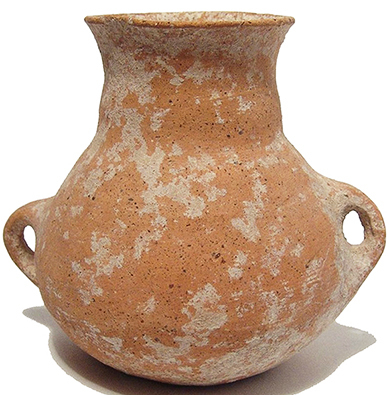 ref: Amirian, R. Ancient Pottery of the Holy Land. 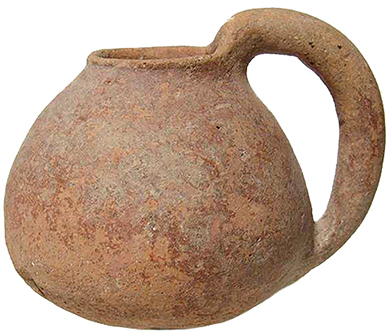 A fantastic group! 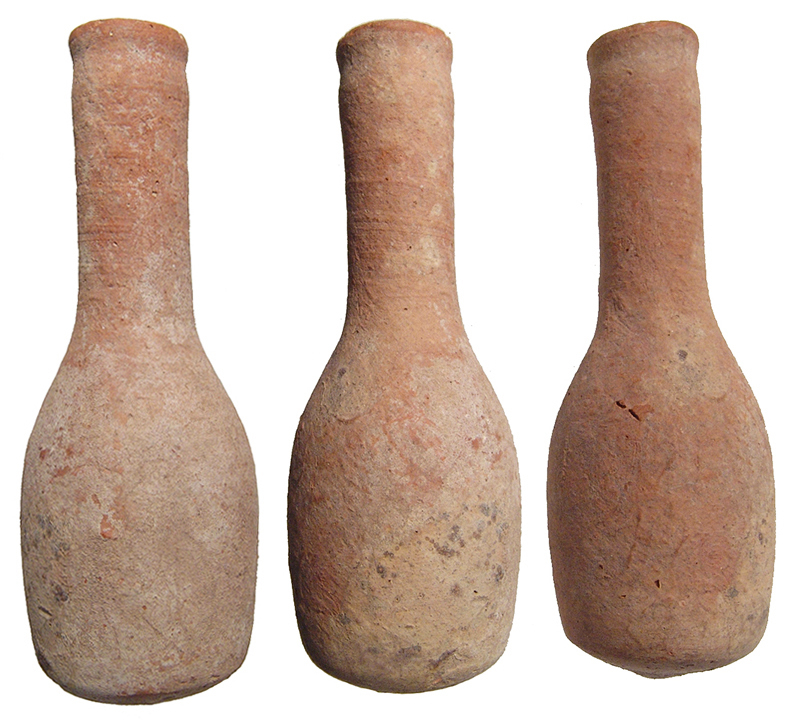 #tl679: $300 each. 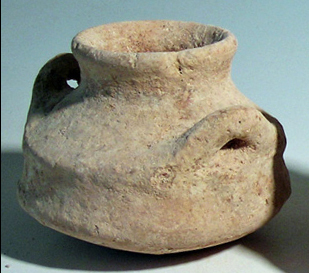 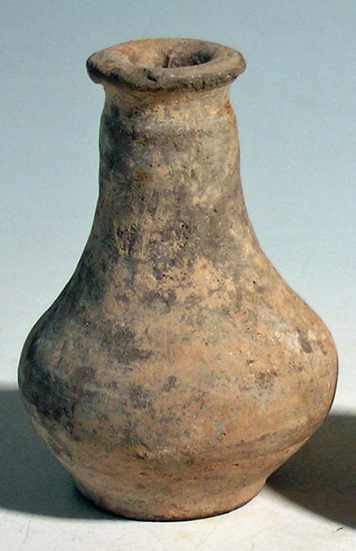 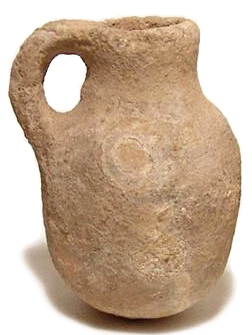 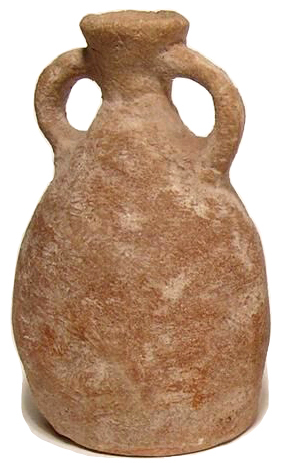 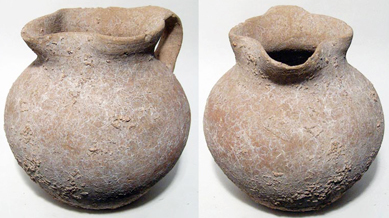 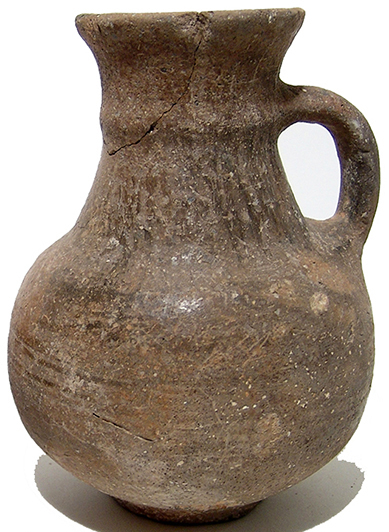 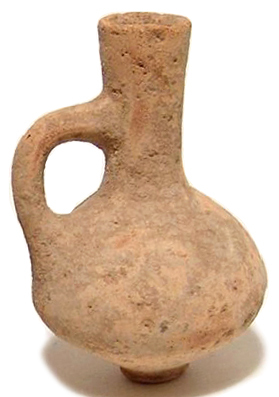 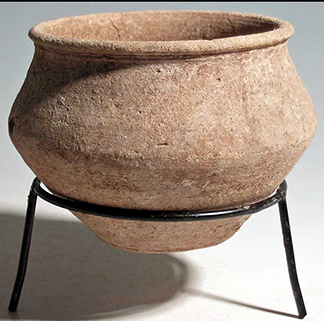 Holy Land, Bronze Age, c. 2000 - 1500 BC. 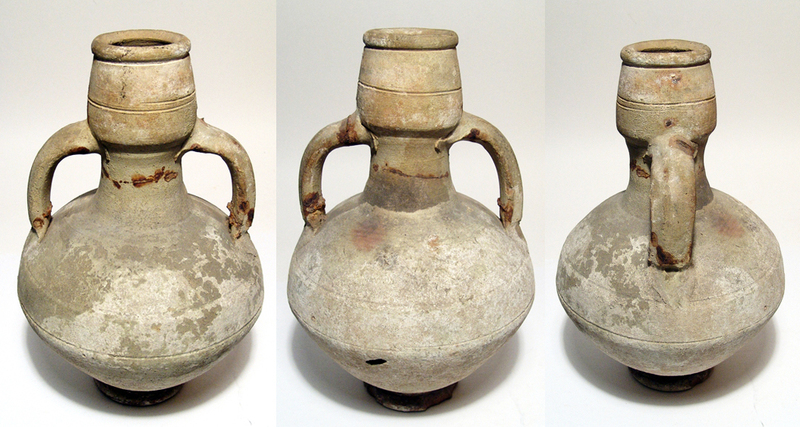 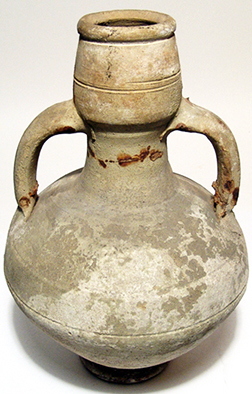 Very nice grey-ware bottle. 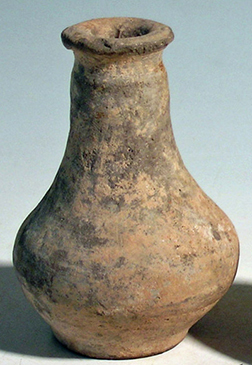 The body ovoid with small flared foot, the neck very narrow with ridged mouth. 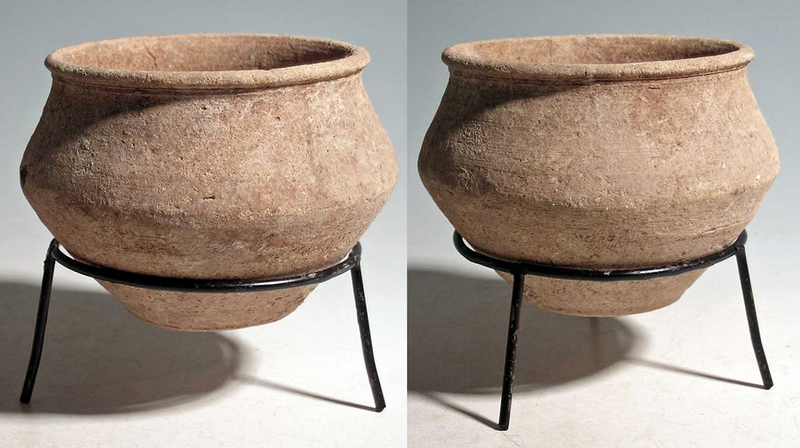 Some light restoration to the rim and some pitting and spalling on the surfaces. 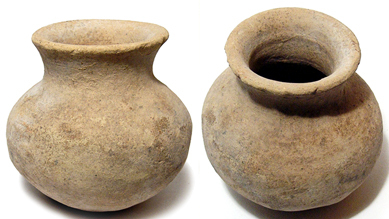 110 mm (4 1/4") tall. 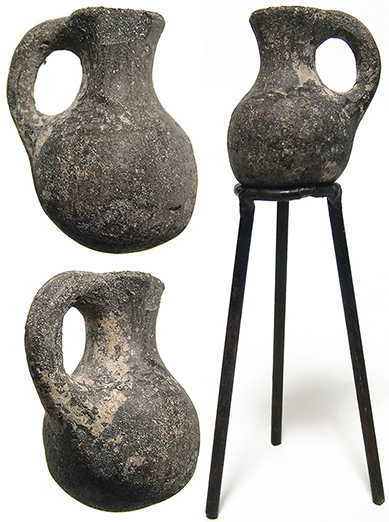 Ex Donald Simmounds collection, UK. 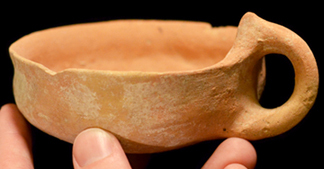 A gorgeous piece!